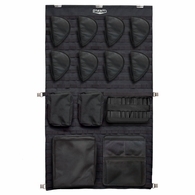 Ever wanted to completely customize the back door of your Gun Safe? 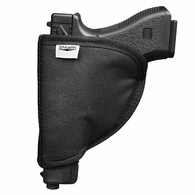 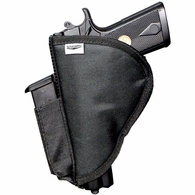 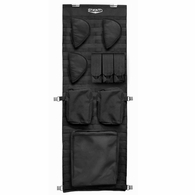 Standard on the medium size is 6 pistol holsters, two triple magazine pouches, one medium pocket, one netting pocket and one large pocket. 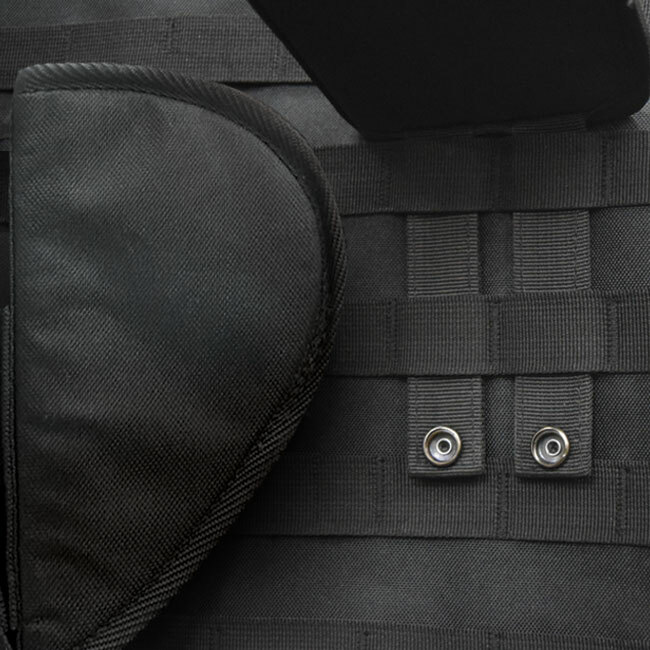 All items include straps that weave into the Molle webbing and snap into place. 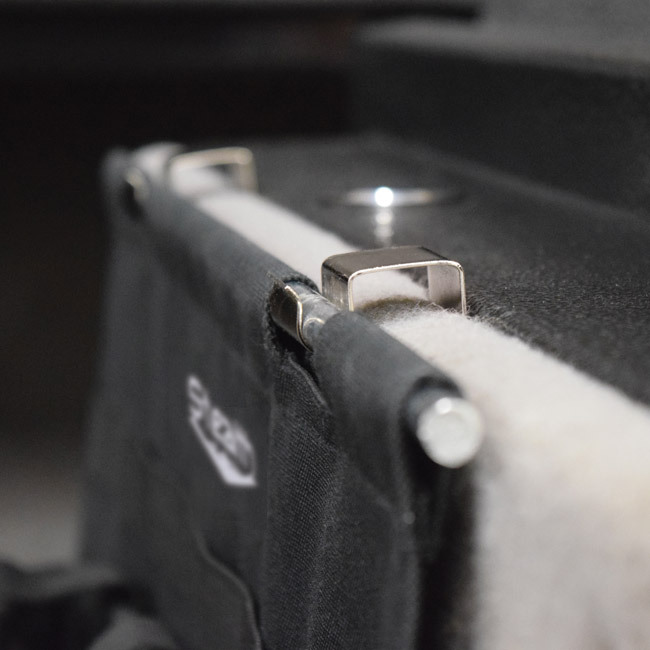 Once your door panel is configured, you can easily unsnap the buttons and move the holsters and pockets at will to meet your exact specifications. 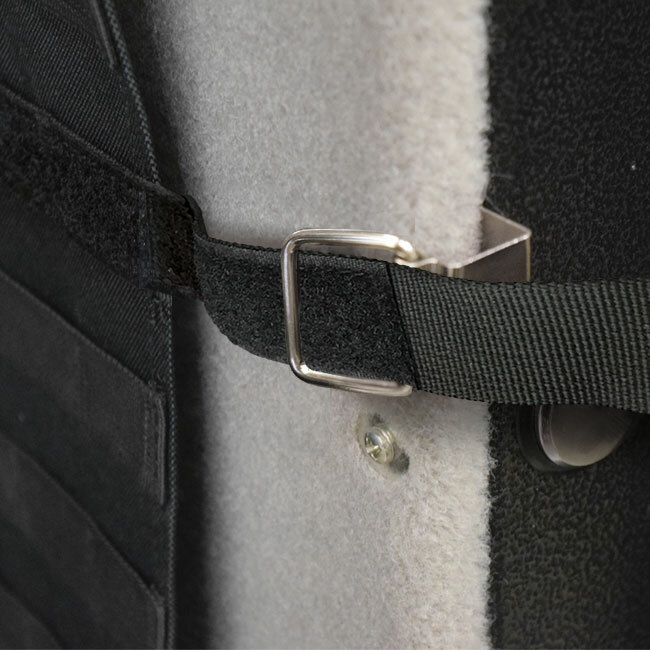 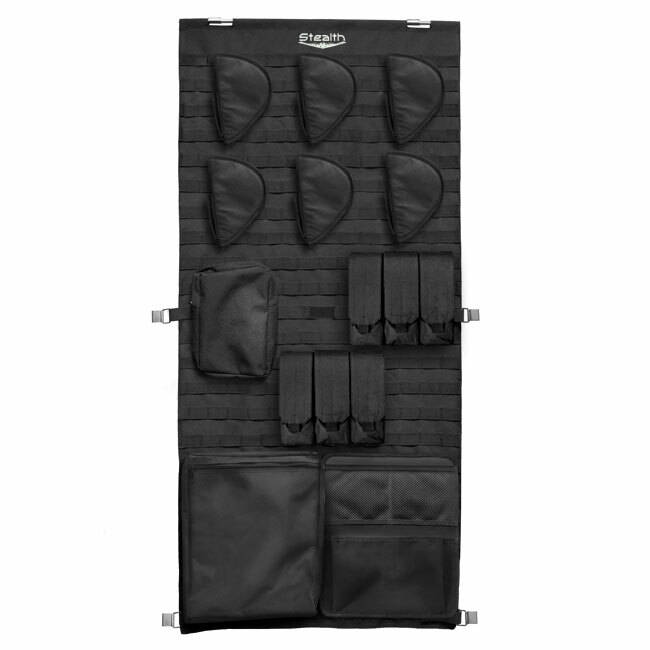 The straps on this panel are three times as long as all competitors allowing you to strap it into a 5/8" fireboard measuring a minimum of 50" H and 23" W with a maximum fit up to 43.5" W. If you have a smaller or larger safe please check out the small and large sizes of this product.